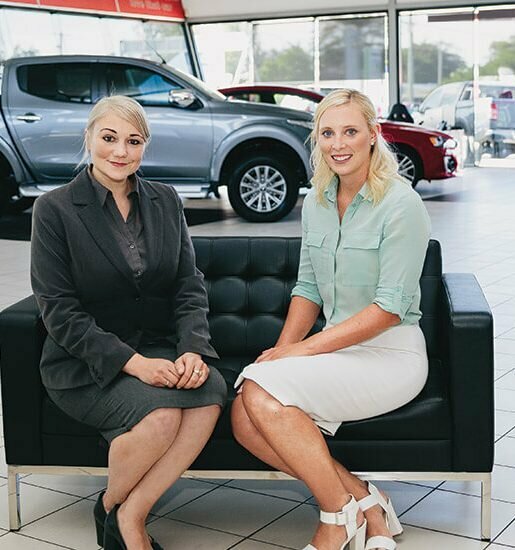 A circular economy is the way of the future, just ask Sunshine Coast sisters Ashleigh and Jaine Morris, who have become the first in Australia to implement this change, to create connected communities, reduce our environmental footprint and drive economic growth. Change will not come if we wait for some other person or some other time. We are the ones we’ve been waiting for. We are the change that we seek.” – Barack Obama. 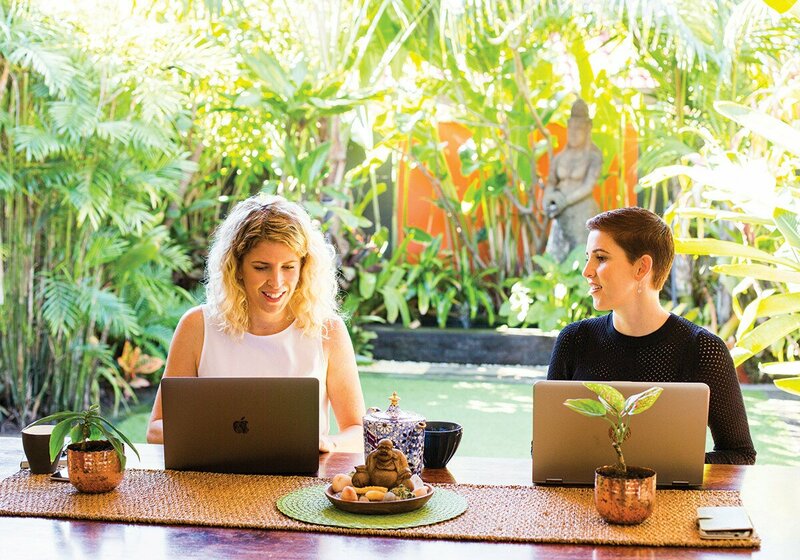 I’d like to introduce you to Sunshine Coast sisters, Ashleigh and Jaine Morris, who are the change that we seek, to move from existing within a linear model of taking, making, using and disposing, and instead to live within a circular economy. On the back of receiving the Prime Minister’s Award for her university achievements in environmental health science, Ashleigh spent a year in Indonesia working for a company which represented 65 per cent of the world’s supply of palm oil. “I was seeing forest destruction as I was sitting there. It was one of the most challenging positions to have, knowing what was going on and being on the inside of the waste industry and palm oil industry; it’s shocking,” she says. Upon returning home, Ashleigh, now aged 28, planned to fly to the Netherlands to study at advanced institutions in the circular economy, but realised she needed to instill change within her own country. Meanwhile Jaine, aged 30, had not long returned home, having spent five years as a remote area nurse in Lockhart River in north Queensland, where she says she learnt the resilience and resourcefulness of our indigenous people – values and skills she now applies in her endeavour for change. 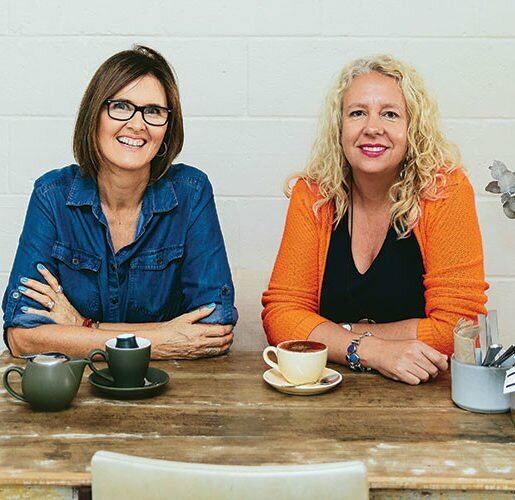 In June this year, Ashleigh and Jaine launched the Circular Experiment, a six-month pilot project in Ocean Street, Maroochydore, which is the first of its kind in Australia. 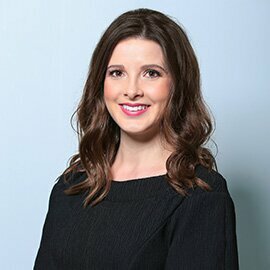 We are the first to practically take steps to implement the circular economy, there’s been a lot of research, a lot of talk about saving emissions and creating jobs, and we are going to see what really does come out the other side,” Ashleigh says. Ashleigh says most people really do want to do the right thing by the environment, but we just don’t know how, and therefore often vote with our money. So when consumption is converted to finances, that’s what is going to motivate behaviour. 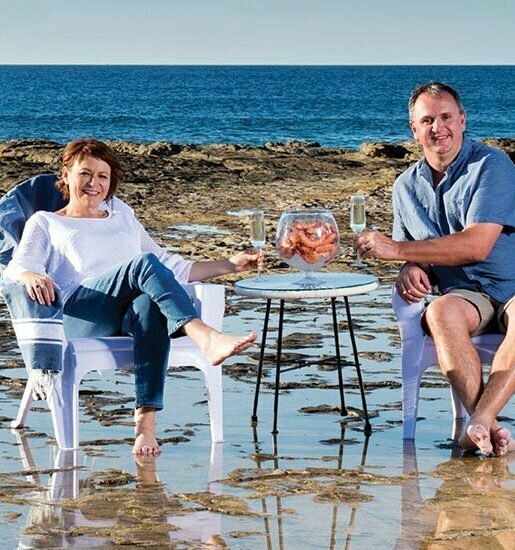 “We’re working with the businesses in Ocean Street for the pilot model, but it goes above and beyond to the building owners, Local Government, State Government, Unitywater, and waste companies to implement projects and it trickles down to the businesses to save them money and reduce their impact,” she says. Take waste for example, each business has their own waste contract, and only has access to recycling and general waste bins, which means valuable resources are being tossed into landfill – food and organics produce the largest emissions, 20 times more greenhouse gas than any other material in landfill. Through the Circular Experiment, Ashleigh and Jaine have identified a premises for bulk collection of cardboard, glass and plastic and are working with all stakeholders to see this come to fruition. They have also arranged for the local disability organisation Compass Institute to collect all of the coffee waste (500 litres a week) to be diverted from landfill and used on their farm in Hunchy. The sisters are also working closely with Sunshine Coast Council and are in the final stages of establishing an onsite food composter to ensure that no food and organics are sent to landfill from Ocean Street. “That’s full circle and that food waste has lost no value in that system,” Jaine says. Using Ocean Street as an example (and waste is just one of six principals being implemented), Ashleigh and Jaine will use the lessons learned to drive change across the whole country. “We are the most littered state, the most in-debt state and the highest carbon emitters in Australia. We’re also a dumping ground because every other state has a landfill levy and they truck their waste here,” Jaine says. “It’s not acceptable, it’s shameful what we’re doing to our environment and the everyday person doesn’t know that we’re taking in millions of tonnes of waste from all the other states, we are a dumping ground,” Ashleigh adds. Ashleigh and Jaine have been working with a group of advisors on the project, including Andy Ridley who founded Earth Hour in Australia, and say there are three metrics they’re aiming to achieve through the experiment – creating connected communities, reducing our environmental footprint and driving economic growth through the circular economy. “In Australia it’s predicted to be a $26 billion industry by 2025 and globally it’s $34 trillion, so the circular economy is a proven economic model. That’s why it’s gaining so much traction around the world, and we are lagging behind at this point,” Jaine says. “South Australia did whole-of-state modelling, looking at business as usual versus implementing the circular economy, and predicted that by 2025 there would be an additional 25,700 jobs created if the state transitioned to a circular economy and they will reduce emissions by 27 per cent. It is a no brainer but people don’t know what it looks like, what does it practically mean and what can I do in my home or business?” Ashleigh adds. “Step outside and look at things with a different lens, it’s more than recycling the coffee cup, think beyond that; how can I repurpose or reuse my goods or share my goods and do things smarter? If that doesn’t motivate you, I don’t know what will.